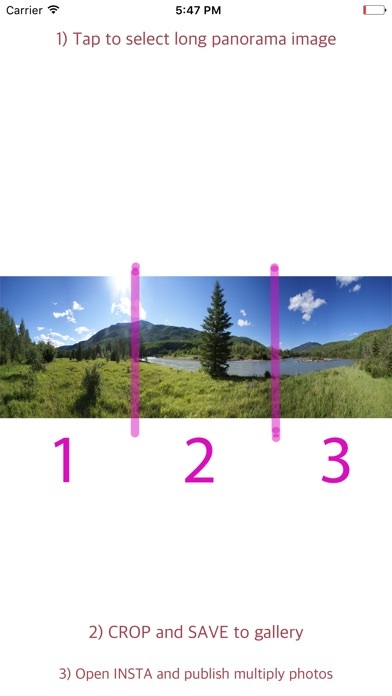 The application allows you to publish in Insta the beautiful panorama. Cut into squares and allow to load in "select multiply" mode. All friends will admire and envy you, download and recommend to all "InstaPanorama" !